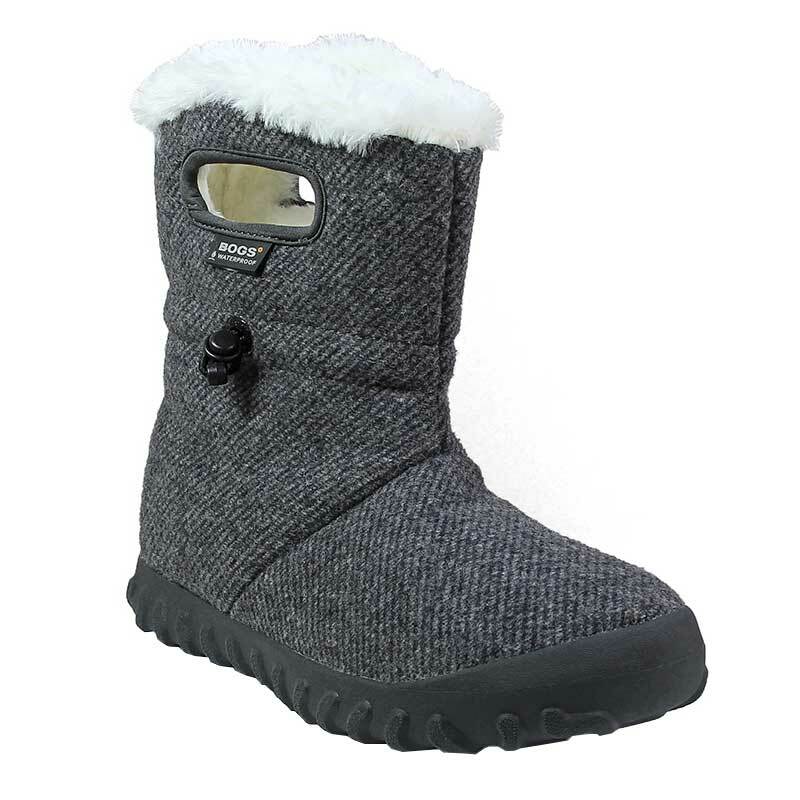 Your footwear doesn't have to be bulky to keep you warm and dry thanks to the B-Moc boots from Bogs. This women's cold-weather boot is crafted with super soft, 100% waterproof fabric that is flexible and very easy to wear. Inside you'll find plush lining with DuraFresh™ bio-technology to keep odors at bay and Bogs Max-Wick which moves sweat away from your foot to keep you dry. Rated to -22°F/-30°C, these boots are designed for warmth. They have an adjustable draw cord to create a secure fit and keep out debris and the molded rubber outsole provides traction on slick winter surfaces. Get lightweight warmth this winter in the Bogs B-Moc boots.